Thank you for your patronage and cooperation. 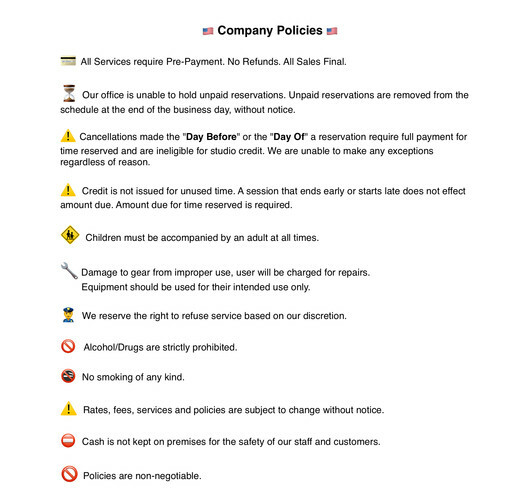 It is never our intention to offend our customers when having to impose our cancellation policy. Our policy is not a means of penalizing anyone for canceling studio time. 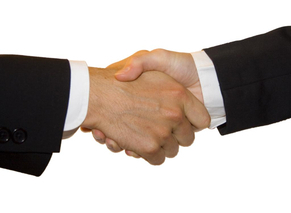 It is necessary in order to recoup funds lost, as we supply an intangible product unable to be recouped otherwise. We understand that untimely or unforeseen events such as: stuck at work, car trouble, illness, and nonattending member(s) can occur. 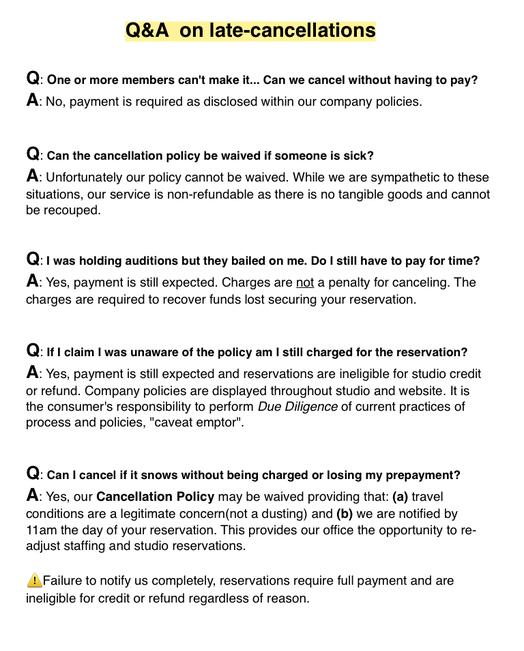 While we are sympathetic to these situations, we are unable to waive our cancellation policy regardless of reason. Our office appreciates your understanding and cooperation. American One Productions and Lackawanna Business Park appreciates everyone's effort to avoid littering.